I am having a quiet few weeks at the moment. The Epic Tri was huge, and took a lot out of me, both physically and mentally, and it is taking me a while to get over it. After spending so much time on a challenge it is very odd when its all over, for 18 months Ant and I were planning the epic, and then all of a sudden its done and dusted (well not quite all of a sudden, we certainly noticed it taking place). A huge void is left, where you were recently planning logistics and working out which route you would take, and who would help at each location. This can quickly lead to mild depression, which when mixed with the physical fatigue can really take a hold of you. Luckily I have had some busy weekends of social activities, my whole family were together the first weekend after the Epic, so a lovely weekend in the glorious sunny hill of the Lake District was had, and then the following weekend we had a big bbq to say thank you to so many people who had helped us during the Epic. This was held at Ants house, and the weather had turned big time, luckily James Thurlow from Open Adventure lent us his huge gazebos to cover most of the garden, along with a few smaller ones we all stayed dry despite the torrential thunder and lightning storm. Last weekend I had a very relaxed weekend with my girlfriend, enjoying the peace and quiet of the countryside, with no plans and no training it was lovely to just relax. Sitting by a pool, jumping into the sauna, all the things I never really do, so once in a while its great, I think I could only do it once a year though, I did start to get a bit stir crazy after 4 hours! 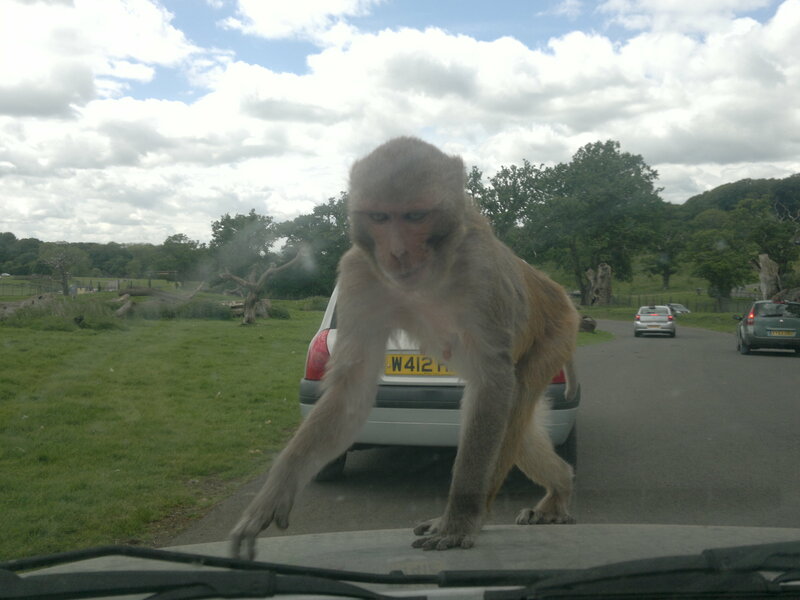 Cheeky Monkey about to rip the car apart! I feel that I am well on the way out of the pit I had found myself in, and with new targets on the horizon to focus on I’m feeling really good. This week I have swum in the Serpentine as my girlfriend is training for a triathlon, so I joined in, swimming is hard work! Then I got a good cycle in last night after visiting my friend Johnnie Mayne from Tri Adventure. Today I cycled into work for the first time, and it was brilliant fun, I felt great and loved the fact that I wasn’t on the tube squashed into someones armpit and paying lots of money for it too! This weekend is the first weekend back into training though, not my usual sport, I’m off Ocean Rowing with Mark Beaumont and the guys he is joining as cameraman/oars man to row to the North Pole in the summer. They are a man down for training so Mark asked me if I fancied coming along. I was planning on going to the rugby and a party, but with my body and mind telling me to get back into training, this was too big a chance to pass up on. Further than that, I am starting to train for the 3 Peaks Yacht Race at the end of June, I am running this with my friend Gareth Craft, who has been going very fast recently, winning some off road marathons, so best get fit for that one. Then in August I am heading over to Ireland to take part in Gaelforce West, a huge multisport race on the glorious West coast of Ireland. I can’t wait for this race, its going to be full on and a real challenge. The next week is the adidasTERREX coast to coast, I have not decided if I’ll race this as a solo or as part of a team, I am hatching a plan to potentially race with a pretty serious multisport athlete, so wait and see. So its back into the thick of it for me, I can’t wait, I have really started to miss all the training, and that feeling of having done a really tough session, I’m aware I’m a bit odd, I just like it! So let me get this straight bruce, you’ve got a girlfriend… just want to comfirm one last time. thanks Phil, good of you to point out for me! Pretty busy in June, but let me know when you are here, hope to seeyou for longer than last time! I found your site by searching 3 Peaks Yacht Race in google, as I was trying to do a bit of background research on other runners competing – and it looks like we have our work cut out!! Congratulations on completion of the Epic Tri, truly awesome-sounding event and no doubt a nightmare to plan! What boat will you be on? My younger brother and I are running for Moby J. 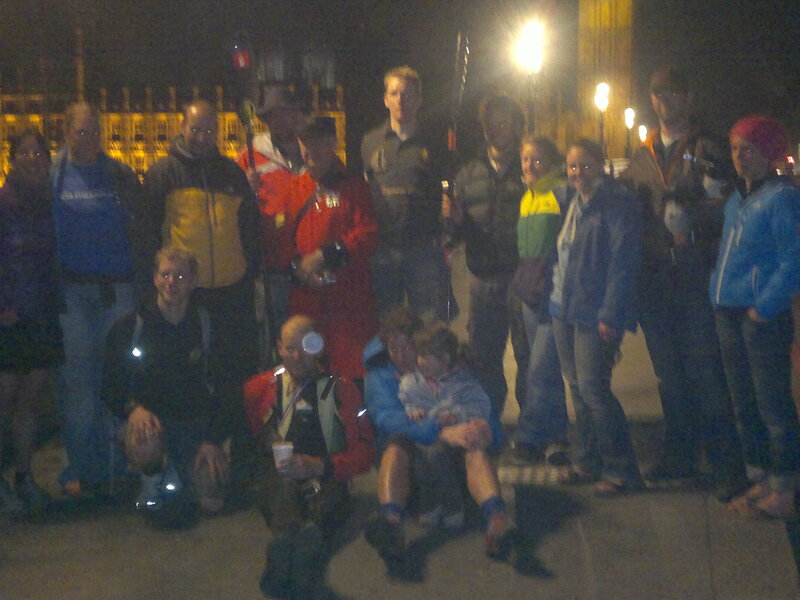 Not long now, good luck with the rest of the training and hope to meet you in Barmouth, at the end or even en-route! I am racing on Mistral, a 38ft boat, should be great, my team mate Gareth is super fast just now, so hope I can keep up! see you out there, and good luck.